Your first experiences on the road are bound to be exciting, but they also have the potential to be nerve-wracking and stressful! When new drivers are prepared to respond to challenges on the road, each and every one of us become safer. 1. Learn the rules! Having a good grasp of the rules of the road can help you avoid costly tickets. What’s more, when you understand the basics, you’ll be better prepared for inevitable surprises. 2. Be prepared! Before you get on the road, get some practice checking your lights, turn signals, oil levels, and tires. Pack a first aid kit and emergency blankets just in case. 3. Know the roads! When you’re learning how to drive, it’s important to know how traffic flows through your area. Start on quiet roads and build up to busier ones. 4. Relax! When the muscles in your arms and legs are relaxed, you’ll be able to respond more quickly to any surprises you encounter on the road. Keep your hands at 10 at 3. 5. Practice, practice, practice! At the end of the day, there’s no substitute for hours and hours times you’ll have to spend on the road. Comfort behind the wheel can come only with experience. One of the best parts of learning to drive is finding a vehicle to call your own! 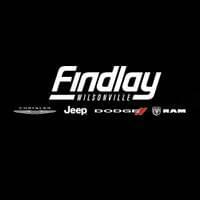 Contact Findlay CDJR today to value your trade-in or secure financing for your next purchase. There’s never been a better time for drivers in Wilsonville, Sherwood, and Salem to test drive one of our new vehicles or pre-owned models.